Roughly 90% of all African Americans lived in the south before the Civil War. Some of the formerly enslaved left after the war’s end, though rampant poverty and family ties kept most of the population anchored below the Mason-Dixon Line. With the turn of the 20th century, southern blacks began to move north and west. They fled the harsh restrictions of sharecropping and racist segregation laws, and moved towards the hope of better opportunity. 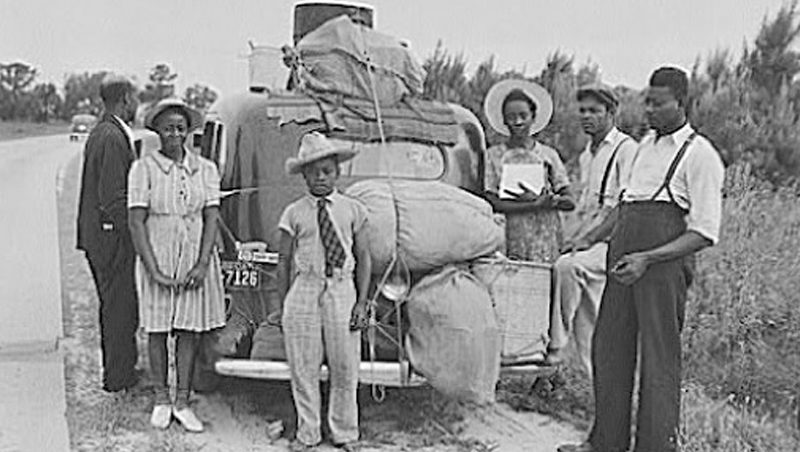 At least six million African Americans relocated their lives and families in the Great Migration from 1916 to 1970, settling in cities like New York, Chicago, and Detroit. Some areas saw massive demographic shifts, with an increase in the African American population by as much as 40%. Improved wages and educational prospects helped build a more substantial black middle class in many places. Some communities prospered in their own way under segregation, aided by crucial institutions such as churches, black colleges, and schools.